It makes such a difference when we put some goals on and everyone is cheering and getting around us so it’s a really important part of our club – our fans – and we love all the support we can get. SUNS captain Jarrod Witts is hoping Gold Coast’s members and fans can see the improvement of the team out on the field and the change in mentality that’s come as a result of it. The SUNS have started the year solidly with two wins from three matches, and Witts says the club’s mantra of “Challenge Accepted” is being embodied by the players out on the field. “I think just the fact that we’ve been playing in such close games shows that we’re up for the fight,” Witts told SUNS Media. “Ideally we’d like to be ahead by more but that hasn’t been the way it’s turned out. 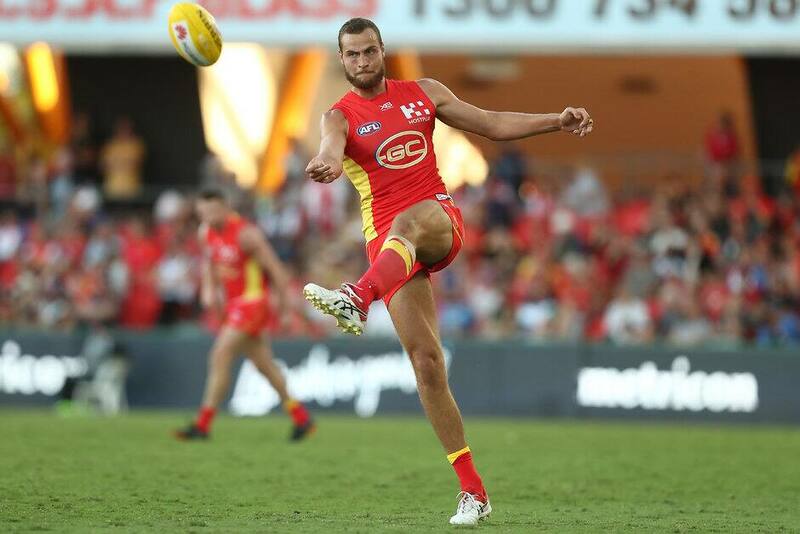 The SUNS return to Metricon Stadium this Sunday and Witts is hoping to see a strong turnout of red and gold in the stands for the match against Carlton. “It means so much to us as players to have a big crowd in front of us to run out to,” Witts said. “Last week against Freo we were able to put on a good spectacle for the fans and we’ll be looking to do similar this week. “We love the support of everyone that can get out to the games. With one win already in the ledger for season 2019, Witts says it is important for the SUNS to work hard to make Metricon a fortress for visiting teams and reward the fans with exciting performances. “The fact that we’re able to practice out there during the week and then perform on the weekends at such a nice stadium in front of our fans is something that we want to be consistent with every week, and not just show up every now and then,” he said. “Consistency at home is something that will be really important to us being successful going forward. Sunday’s match will be filled with activities for the family to enjoy, with kids enjoying free entry when accompanied by an adult with a full-priced ticket. Activities start at 1pm with the first bounce at 2:40pm.